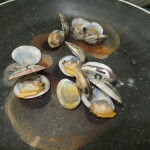 Consuming raw or undercooked clams exposes to the risk of enteric viruses such as norovirus or HAV, which causes hepatitis A.
Italy is the main producer of clams in Europe and these molluscs are consumed by many people. 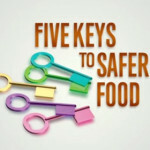 But we often don’t know the risks from a wrong cooking of this food, like the enteric virus infections. 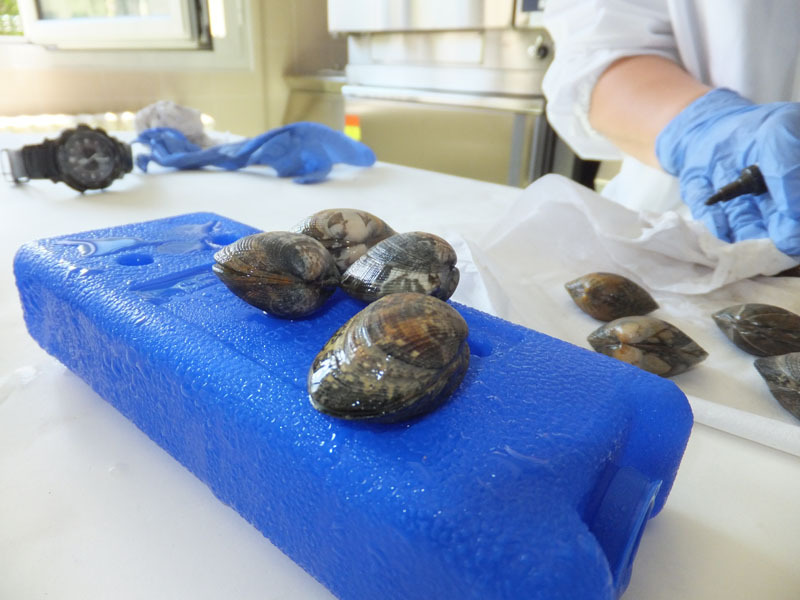 Recent studies have discovered the presence of norovirus in Italy in the bivalve molluscs reared in the lagoon, considered one of the principal causes of acute gastroenteritis in Europe. 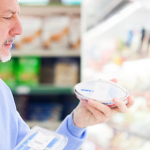 A pathogen as important as Norovirus is certainly the HAV, a virus that causes the hepatitis A. 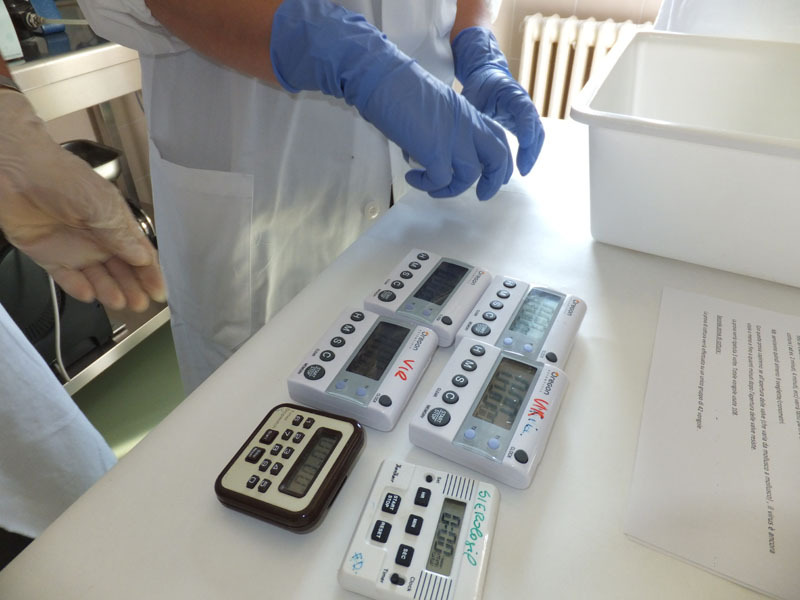 The gravity of the symptoms in the case of an infection changes according to the patient’s age and they usually affect weakness and temperature. 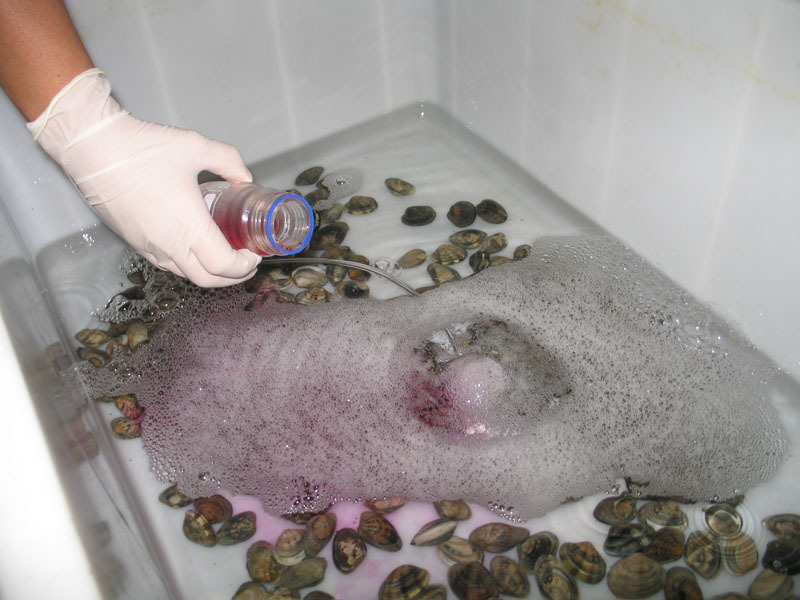 But with small attentions we can prevent unpleasant consequences related to this type of infections. 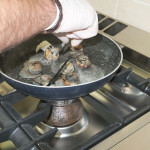 The European Food Safety Authority (EFSA) recommends to outline in all bivalve molluscs’ labels the words “to be consumed after cooking”, but it does not provide any indications about the temperature and the duration of the cooking. 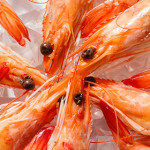 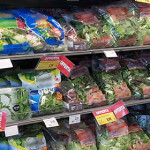 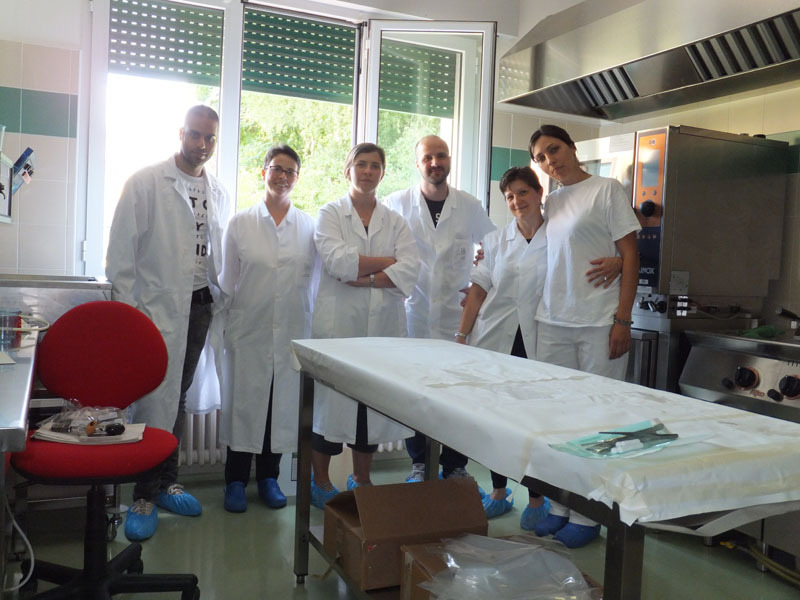 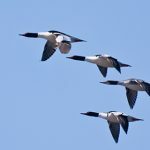 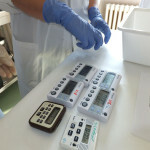 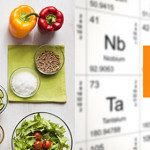 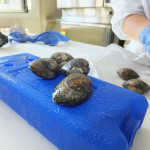 For this reason some researchers of the Istituto Zooprofilattico Sperimentale delle Venezie have conducted a study, financed by the Ministry of Health (RC 19/12), to estimate the cooking time needed to ensure the inactivation of enteric viruses in the clams, in particular norovirus (Nv) and HAV. 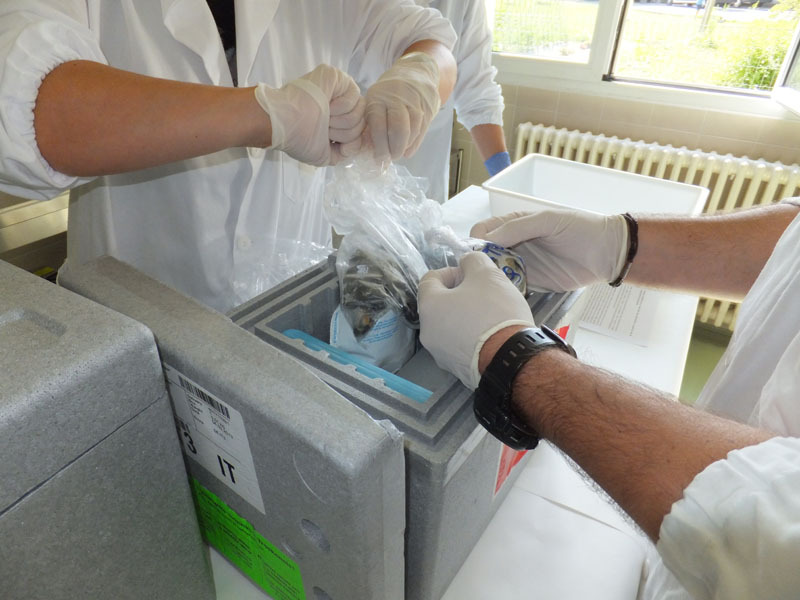 While the results concerning the inactivation of norovirus were published at the end of 2013, for the second point of the research regarding the inactivation of HAV, the results were recently produced. 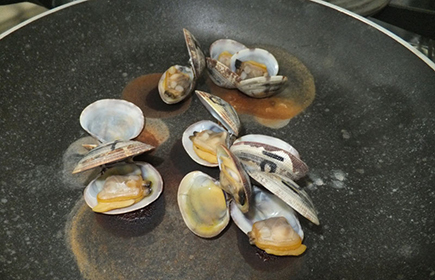 Several cooking tests were made using 240 large unpurified clams infected with HAV for 24 hours, recording the times of opening of each clam. 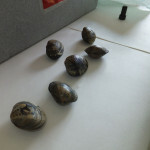 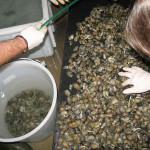 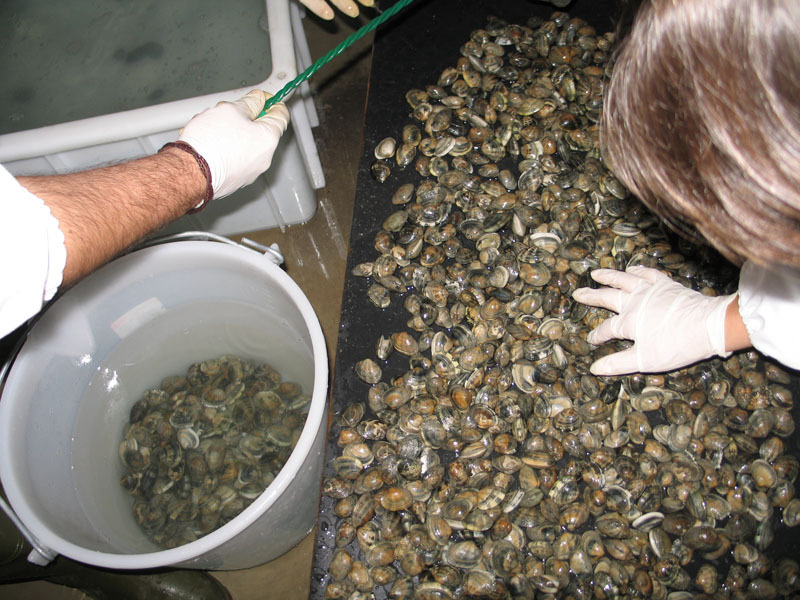 For the study the researchers used 240 large (about 5 cm) unpurified clams, collected in the Northern Adriatic sea and carried in the experimental aquarium of the IZSVe. 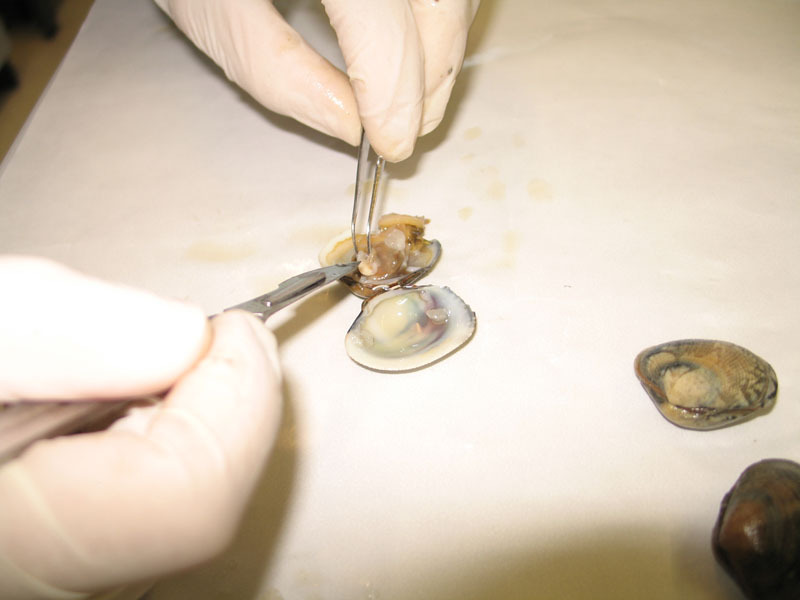 The molluscs were acclimated for 1 day at experimental conditions and were infected with HAV for 24 hours. 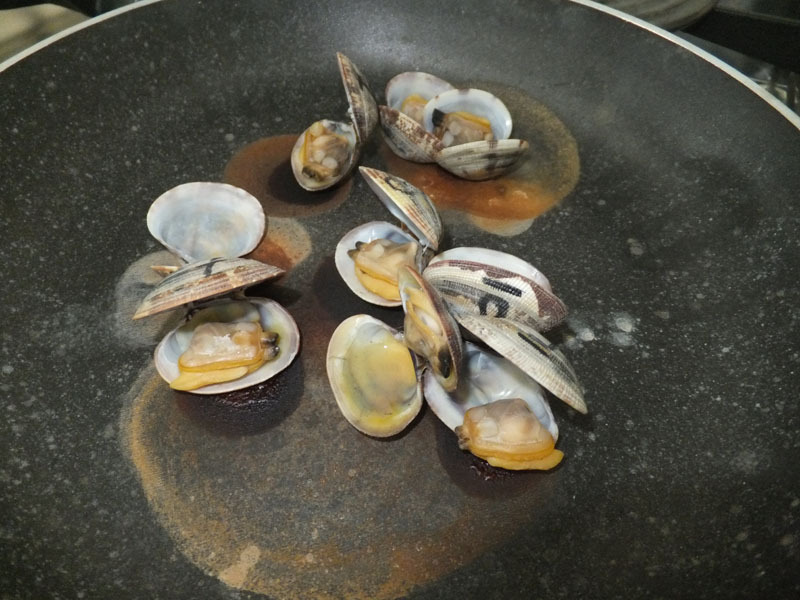 Several cooking tests were made, cooking groups of 9 clams at time in a pan. 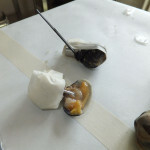 At first the researchers recorded the time necessary for the opening of each clam. 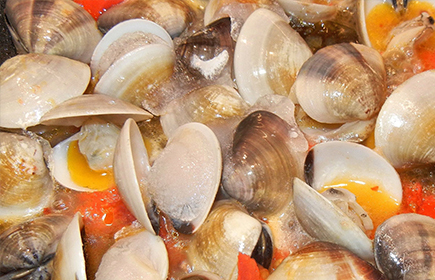 The cooking time was measured starting from the opening moment of the valves of each clams. 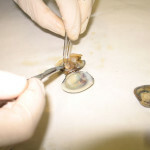 In this way it was possible to establish if, when the valves opened, the virus was still vital, and up to how many minutes after the opening of the valves the virus was able to resist. 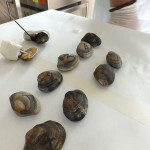 A second cooking test was made with two groups of 42 and 45 clams, considered as a closer situation to what happens in the domestic kitchens. 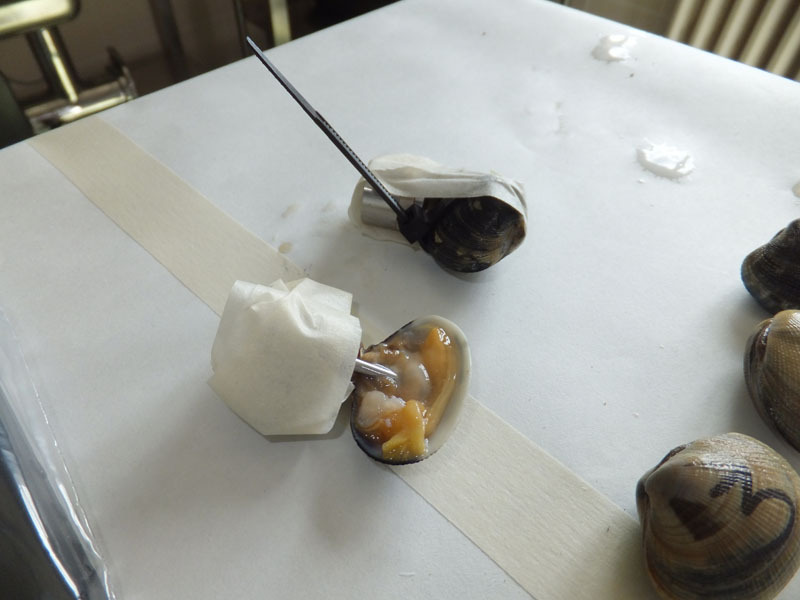 Each time the temperature at the core of the clams was measured using two temperature probes. 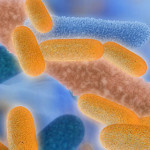 To further confirm the results, a third test was made with a much lower infectious dose, considered closer to the viral positivity levels that can be found in nature. 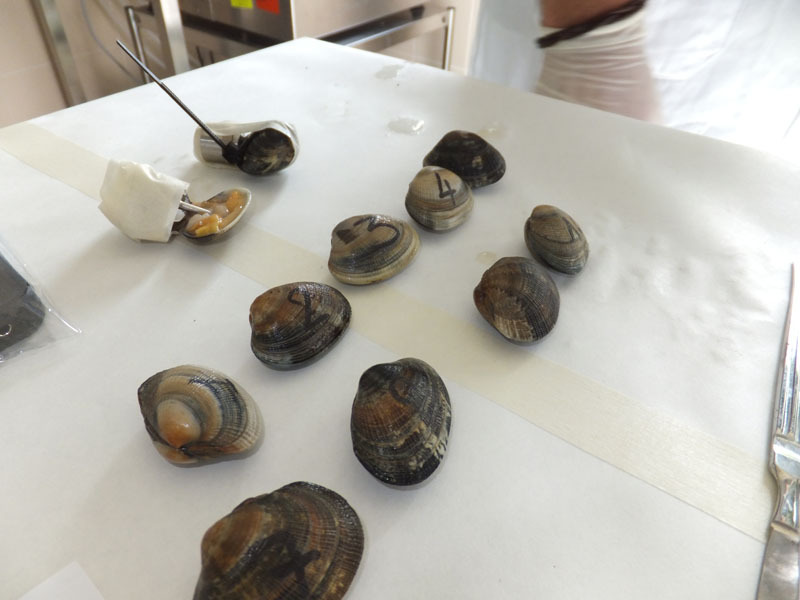 The carried tests showed that cooking at a temperature of 100°C for two minutes after the every clams’ complete opening is enough to inactivate the hepatitis A virus in the experimentally infected clams. 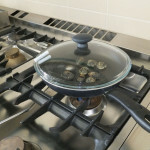 This temperature generally corresponds to the time required for opening of most of the clams subjected to cooking at home. 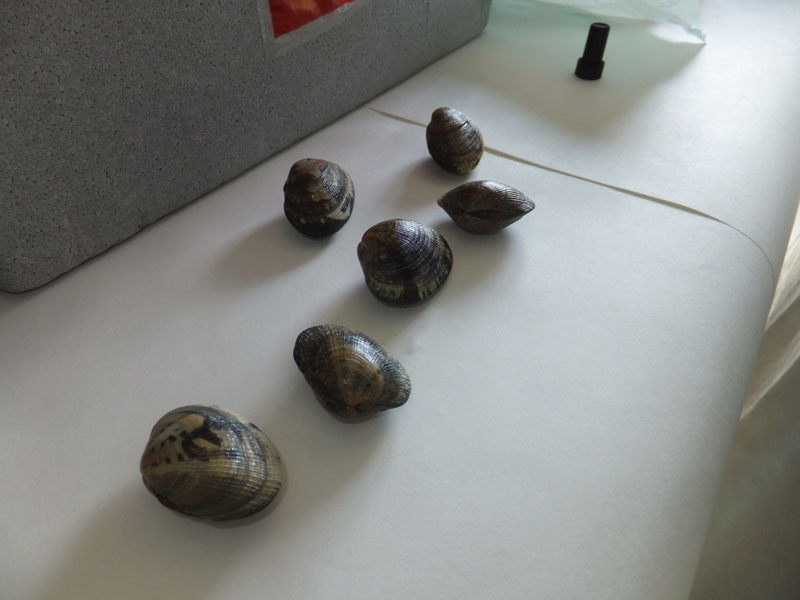 It should be considered that in the experimental tests of this research the clams had large dimensions. 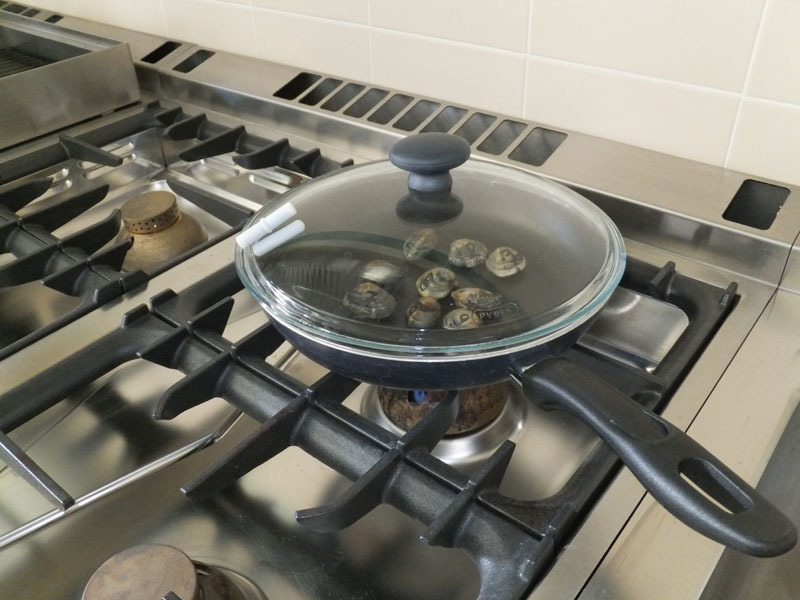 Also, any cooking liquid was added in the expertiments, because researchers wanted to test the worst possible conditions from the heat transmission point of view. 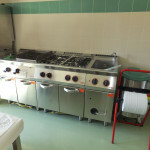 So we can suppose that using water, oil or sauce the temperature needed for the opening of all the calms can be reached faster. 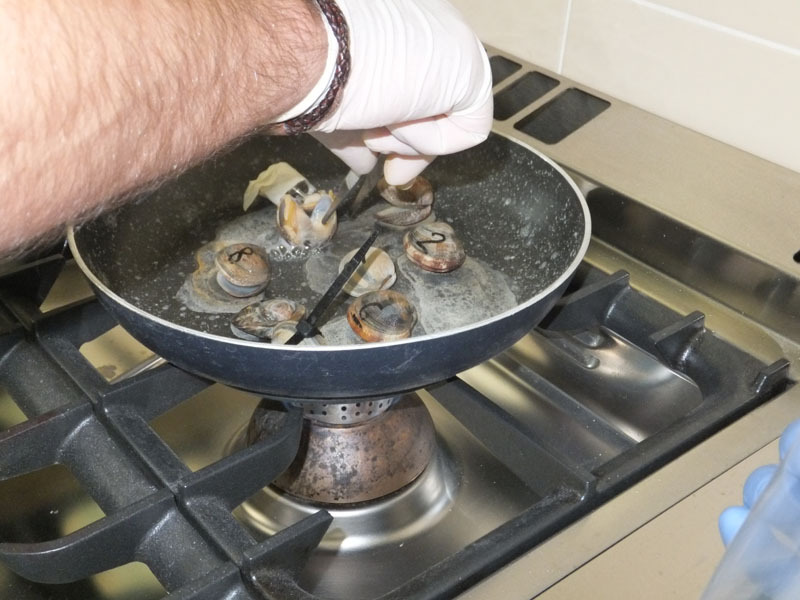 The results obtained in this study give the consumers some clear and practical indications about the way to cook the clams safely, avoiding the risk of infection food. 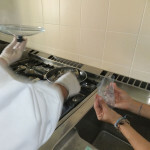 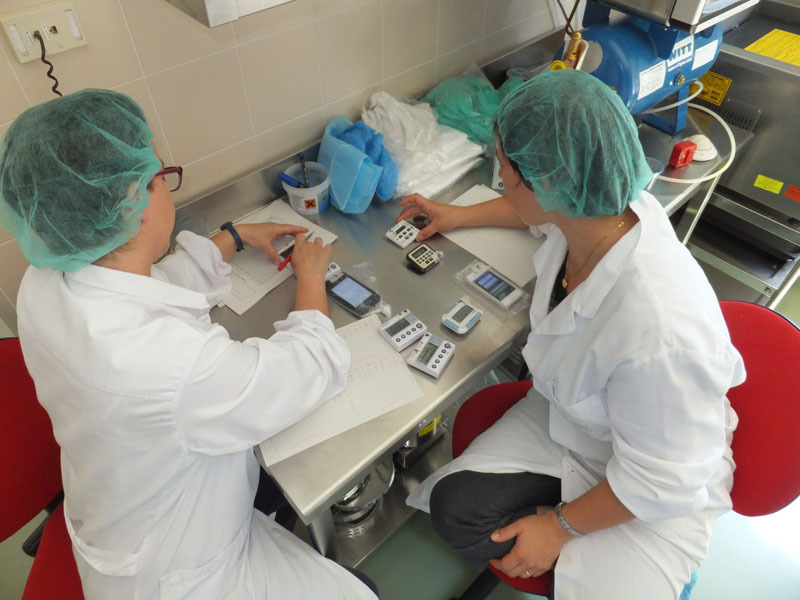 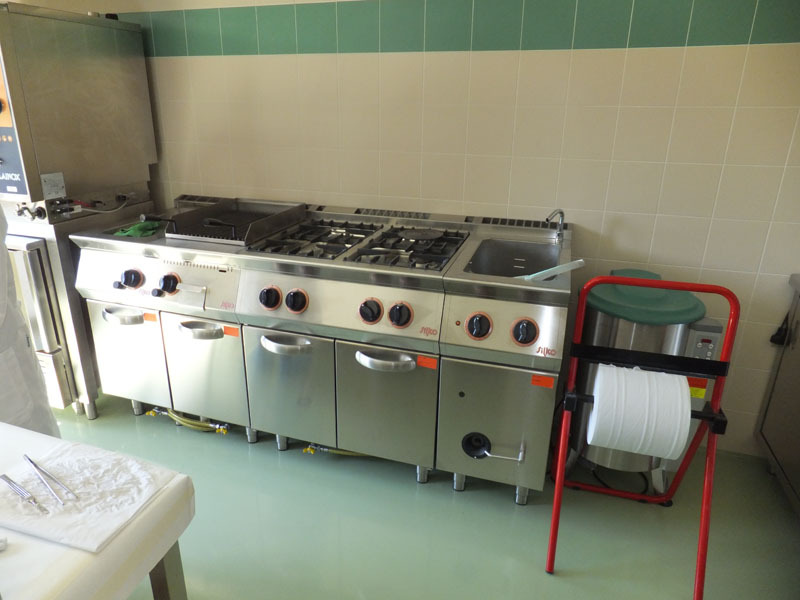 It is important to notice that with the same cooking expedients is possible to avoid the risk of infections coming from both norovirus and HAV, like the experimental tests on the inactivation of norovirus had highlighted. 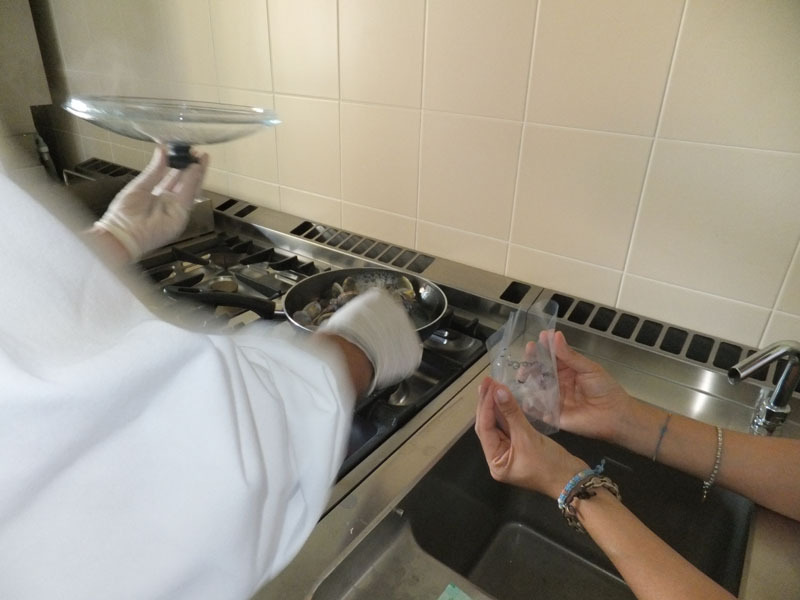 These simple guidelines for cooking could be indicated in the label of the bivalve molluscs, to ensure a complete information of the consumer and a better protection of his health.